Friends, I am so excited about this book! You see, it's one I had the pleasure of reading in its infancy, and it's only grown better since! Joanna Davidson Politano's debut from Revell, Lady Jayne Disappears, is a wonderful addition to the historical fiction genre. Here's a short blurb, and we'll chat on the other side! From the first page to the last, this book captivates. I'm typically a romance reader (honestly, I think Jesus is our biggest romancer of all!) and when a book isn't strong in the romance thread, I can sometimes skim it. Yet Politano's writing and characters are so strong that even though romance isn't the central focus of this book, I couldn't stop turning the pages! Politano's ability to sink her reader into the setting and tug at their heart through her characters is a strength that makes her writing sing. The mystery rolling through this book keeps you asking questions. The plot moves at a perfect pace and through it all, hints of a humorous voice pop through that perfectly matches the time period this book is written in. And for the romance lover, it does makes its way on page with enough doses to keep a lovely smile on your face. Best of all, this book is full of hope and faith. All together, Politano's debut is one that will leave the reader adding this author to their TBR lists for all her future books. 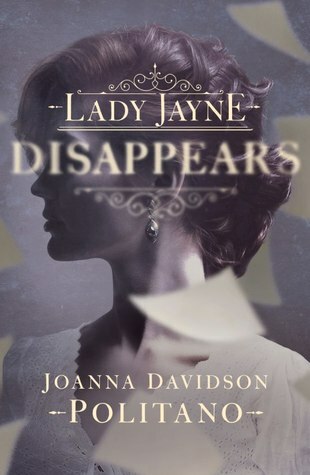 I happily recommend Lady Jayne Disappears and you can purchase it here.